Bipolar disorder is a treatable illness that can affect anyone. 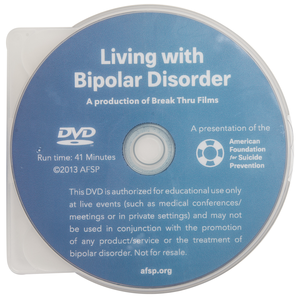 The film Living with Bipolar Disorder features the stories of three people who have been treated for bipolar disorder, as well as the widow of a man who died by suicide and most likely suffered from it. Viewers will find essential information on the disorder, as well as cause for hope, knowing that it is a manageable condition.